Network services for O2 are have been temporarily down, with problems reported for people trying to make voice calls across the UK. Calls were down for a few hours early Friday morning, and although O2 has since announced the problem was solved shortly afterwards, customers are still reporting network problems. 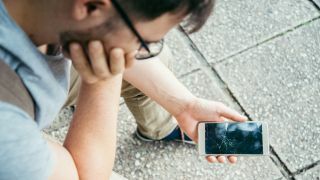 If you're looking to switch providers (for some reason) we've got the very best mobile phone deals from all the networks rounded up for you. Customers have taken to Twitter to point out that though O2's network tracker suggested problems were resolved, they still weren't able to make or receive calls – and also that the O2 community pages online were unavailable, although it's unknown at this time if the two issues are related. Users across the UK were hit by the outage, with the majority of cases in London and Manchester but users everywhere else also hit by the problem. A spokesperson from O2 told us "The problem that some of our customers experienced this morning making and receiving calls has been fixed. We apologise for any inconvenience this may have caused." – although it seems not all Twitter users agree. This isn't great timing for the network giant, as the brand recently suffered a large outage in December last year - while this problem was quickly fixed, it's not something that's going to sit well with customers who are still disgruntled with what happened just a few months back.